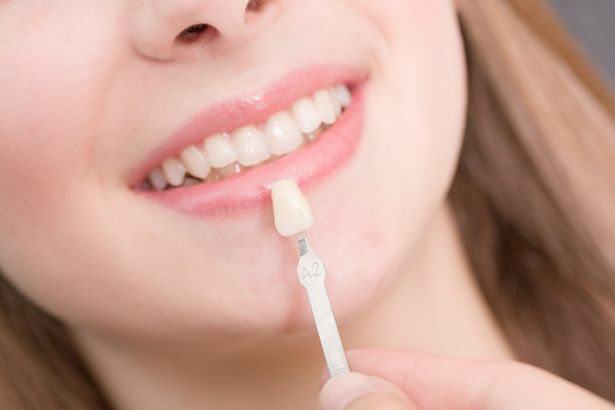 If your smile is affected by chips, severe discoloration, or disproportionately sized teeth, you are probably weighing several different treatment options. Because they can cover nearly the same cosmetic concerns and achieve life-changing results, porcelain veneers and dental bonding are typically the choices most often recommended. But there are differences in cost, preparation, and timelines which patients should consider when choosing between bonding and veneers. Dr. Teddi Olszewski offers both treatments at her Northampton, MA, dental office. She can discuss the pros and cons of each treatment option with you during your consultation to help you decide which procedure is right for you. As cosmetic treatments, both veneers and dental bonding are color-matched to your teeth beforehand to guarantee that they blend in naturally with your smile. Because both are considered cosmetic treatments that can simply enhance an already healthy smile, you should be in good oral health before undergoing either. If you have cavities, gum disease, or a badly damaged tooth, Dr. Olszewski will need to address these concerns prior to your cosmetic treatment. Receiving veneers typically requires two appointments. During your first veneers appointment, Dr. Olszewski will evaluate your smile, remove a conservative amount of enamel from the front of your teeth, and collect impressions. These impressions are sent to a lab, where it takes a few weeks for a ceramic artist to fabricate your veneers. During your second appointment, you will come back to our office so that Dr. Olszewski can permanently place your veneers. In contrast, we can complete dental bonding in just one visit. Dr. Olszewsk will first evaluate your concerns and determine which shade of bonding most closely matches your smile. Then she will apply an etching solution to the surface of your teeth and carefully mold the composite resin onto them. Patients can leave the office and immediately return to their normal oral hygiene routine and diet. In order to fit correctly on your teeth, veneers require a small amount of enamel to be removed. Once enamel is removed, it cannot be replaced. Therefore, veneers are a lifetime commitment. Meanwhile, dental bonding requires minimal preparation and very little alteration to your existing tooth structure. If you ever want to reverse your bonding treatment, you can. In fact, many patients who are considering veneers choose dental bonding first in order to visualize their results. If you are concealing cosmetic imperfections on several of your teeth, dental bonding is considered a very cost-effective option. However, while veneers are a significant investment, they are a worthwhile one: they are often more customizable than bonding. We offer various financing options including credit cards and CareCredit® so that you do not have to make a decision based solely on your budget. Whichever treatment you opt for, you can care for the results the same way you would your natural teeth. You should continue brushing, glossing, and visiting our practice every six months for your regular check-ups. While veneers are considered the more aesthetic choice, dental bonding is a quick cost-effective option for patients who need to cover multiple cosmetic concerns at once. If you are still unsure about which procedure is right for you, visit our office for a consultation. Request an appointment online or call us at (413) 584-2902 for more information.